In PORTER's 'Fashion Masterclass', Dries Van Noten describes the colors in his Spring '19 collection as "fresh" and "optimistic". 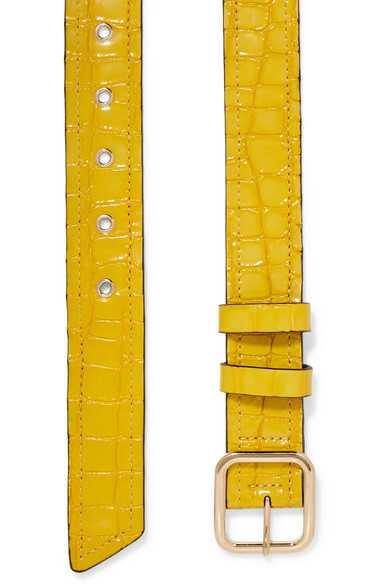 This belt has been made in Italy from croc-effect leather in a sunny yellow hue that was seen several times during the show. It fastens with a polished gold buckle - the designer famously prefers things to clash so we suggest further accessorizing with silver jewelry. 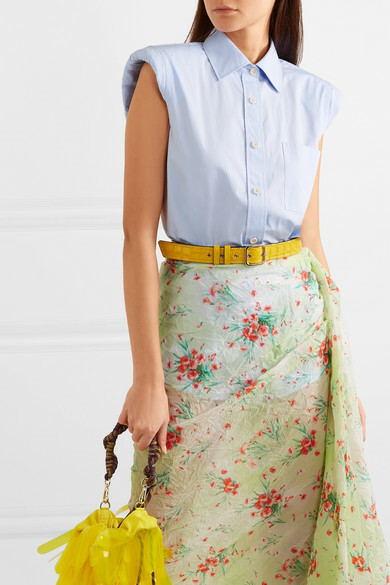 Shown here with: Dries Van Noten Shirt, Dries Van Noten Skirt, Dries Van Noten Tote..